You know I love Indian food. It was so exciting to get my friend’s new cookbook – Vegan Richa’s Indian Kitchen – in my hands. 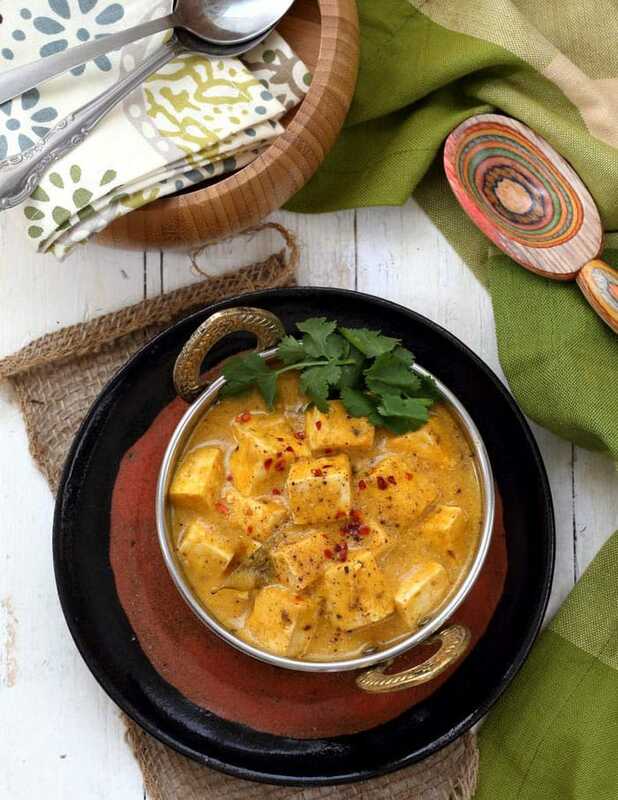 In this post, I’m sharing her recipe for Mango Curry Tofu. 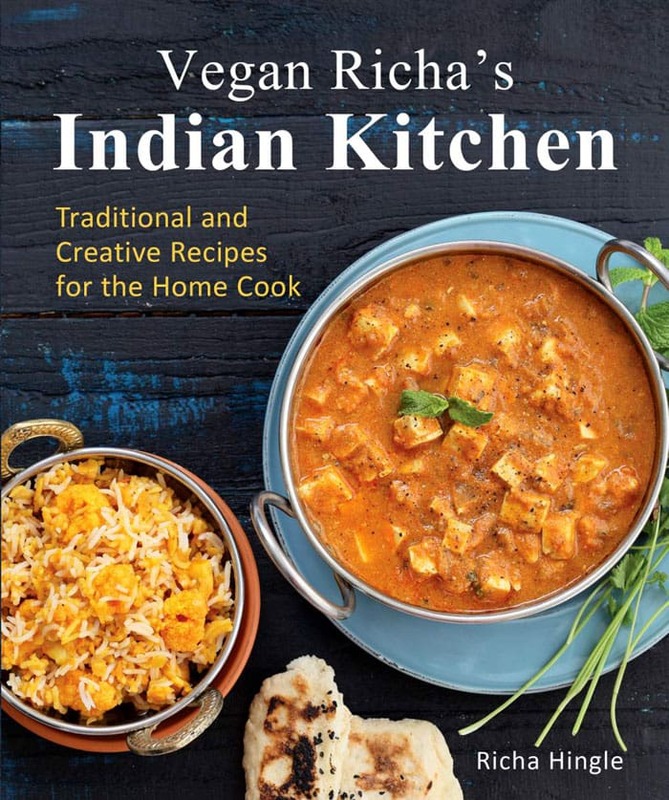 There are 10 chapters in Vegan Richa’s Indian Kitchen. The first one goes over the basics of Indian cooking and shows you around the most used spices and ingredients. There’s chickpea flour pancakes, samosas, sweet and sour pumpkin, more bean stews than you can imagine, and all the gorgeous Indian breads that you can’t get a vegan version of in most restaurants. 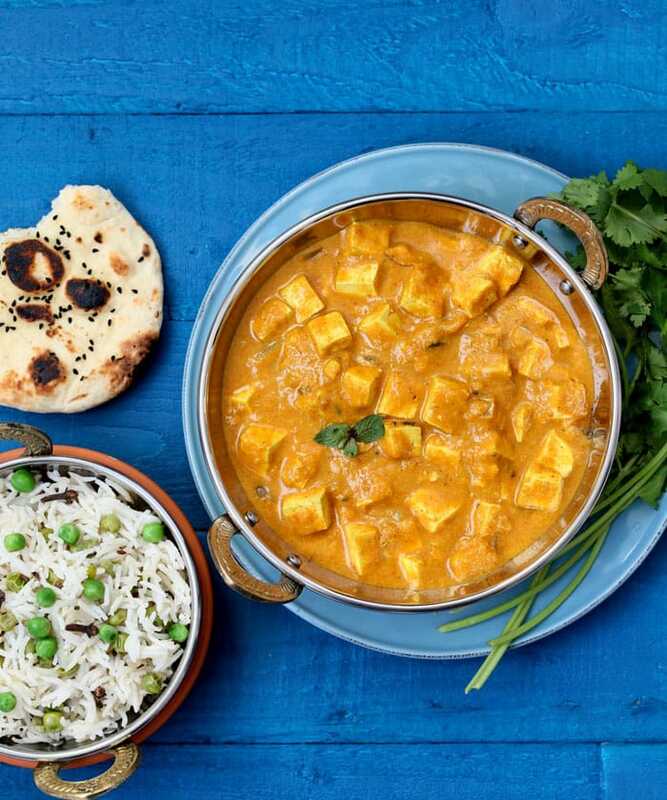 This is a definitive guide to Indian cooking and will help the vegan community – and me – delve further into new flavors and dishes. I recommend that you get a copy for your cookbook collection. 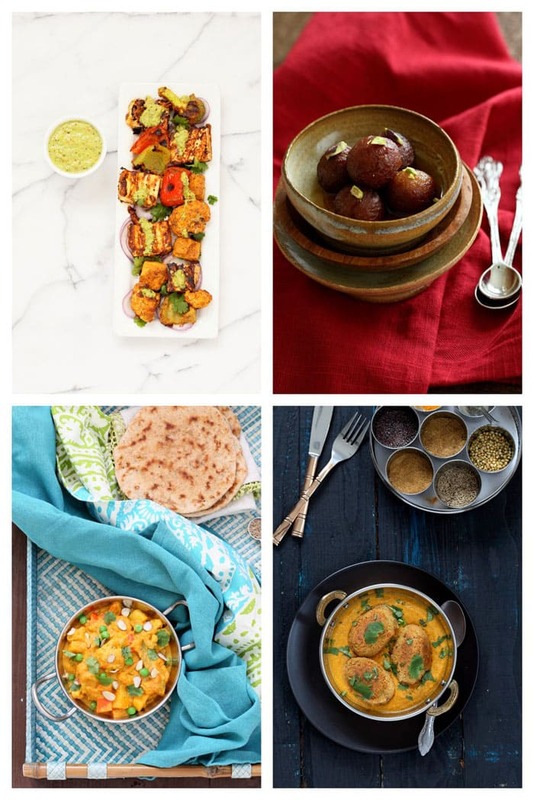 Finally, here’s a delicious recipe for you to try from Vegan Richa’s Indian Kitchen. It was my first-time having mango in a savory Indian dish. What’s the most unusual Indian dish you’ve had? Tofu:Cut the tofu slab into ½-inch slices. Place them on a clean kitchen towel. Cover with another kitchen towel. Place a 10-pound (approximate) weight on top and let sit for 10 minutes. Alternatively, you can use pressed tofu. Cut the tofu slices into ½-inch cubes. Curry:In a blender, combine the onion, ginger, and garlic and blend into a smooth puree with 2 tablespoons of water. Heat the oil in a large skillet over medium heat. When the oil is hot, add the cumin seeds, bay leaves, and cloves. Cook for 1 minute. Add the pureed onion and cook until the onion mixture is dry and does not smell raw. Stir occasionally to avoid sticking, 13 to 15 minutes. Add the coconut milk, mango pulp, salt, and vinegar and mix well. Add the tofu and all the spices from the tofu skillet to the sauce skillet. Add a dash of black pepper. Mix, cover and cook until the sauce comes to a boil, 5 minutes. Reduce the heat to low and cook uncovered until the sauce thickens and desired consistency is achieved, about 15 minutes. Taste and adjust the salt and tang. Add ½ teaspoon or more sugar if the mango pulp was not sweet. Garnish with cilantro and a dash of garam masala and serve hot. Left out the cloves since hubby doesn’t like them. 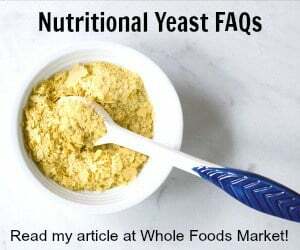 I would recommend using a food processor over the blender to puree. That’s a great idea. I tend to use my blender more because it’s easier to clean. Nothing is as good as Indian food, with all the wonderful spices. Thanks for this recipe – it sounds delish! Thank you for the wonderful review Kathy! You are welcome – it’s a beautiful book! I made this recipe and loved it! It’s great re-heated as well. My boyfriend, however, hates the taste of coconut. Do you think I could use almond milk in replace of the coconut milk? You can, but the sauce will be much thinner and you’ll lose the coconut flavor. I see you say this can be made soy free, but since tofu is made from soy, what is the alternative? I ask because I am not a fan of grilled or roasted tofu. I find it too rubbery. You could use hemp tofu or substitute chickpeas.